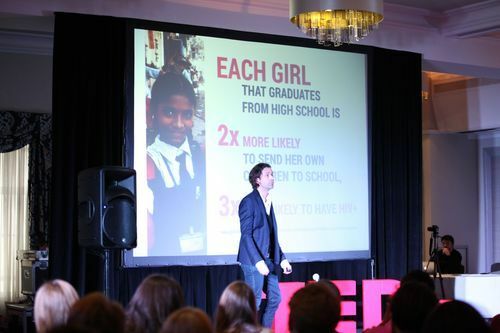 “There is a huge cost for not educating girls to the same level as boys. It is has been estimated that the failure of 65 countries to educate girls to the same standard as boys collectively costs them USD 92 billion every year. One of the most telling statistics to highlight why we still have a huge issue is that 70% of the poor in the world are women. These are shocking statistics. But being an entrepreneur, I dug further and looked at the evidence on how investing in women yields positive returns for her and for society.